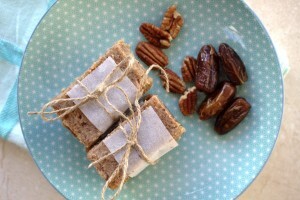 Homemade larabars: Energy bars with only two ingredients! When I first saw a Larabar in my local supermarket in Ireland, I nearly squealed with excitement. I had heard of them and knew they were allowed on SCD. I couldn’t believe I found something I could actually eat in a packet. My husband was really happy that he could at last buy me something nice to eat if he was treating himself to something. Since then, there seems to be many more raw energy bars after cropping up e.g. primal pantry, nak’d bars to name but a few. It’s so great to have options. The only downside is that healthy snacks are so expensive! Enter, homemade larabars! Two-ingredient homemade larabars could not be easier to make. 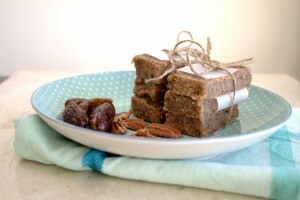 They are packed with natural sugars (from the dates) and vitamins and minerals (from the nuts). 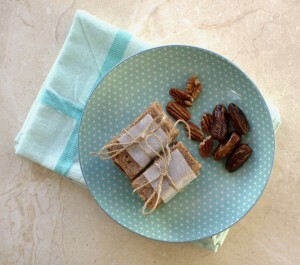 I like to soak the dates and the nuts for at least an hour before I make them. Softening the dates makes them easier to work with and the soaked nuts are easier to digest. The possible combinations of dates and different nuts is endless. Many people often add dried fruit also. In this recipe, I use just dates and nuts. It’s simple yet a firm favourite in our house. For the dates, I recommend medjool but as they can be prohibitively expensive here in Ireland, I often purchase organic ones from the health shop. If you are using medjool dates, you won’t need to use as many. Not all dates are SCD-legal. I picked up a packet in the supermarket the other day and the label listed “date syrup, dextrose” and other ingredients not allowed on SCD. Homemade larabars will keep in the fridge in an airtight container for up to two weeks or for a couple of months in the freezer. 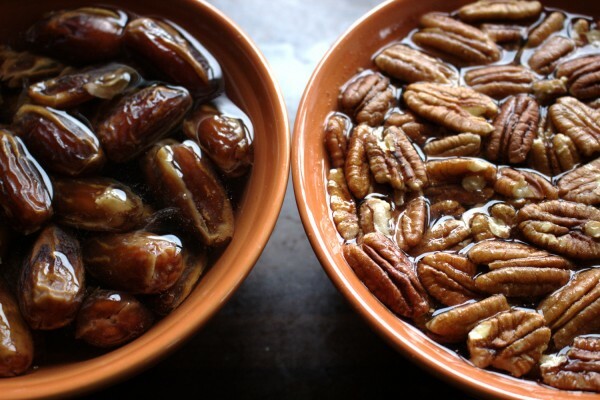 Soak the dates in one bowl and the pecans in another bowl for an hour in water. 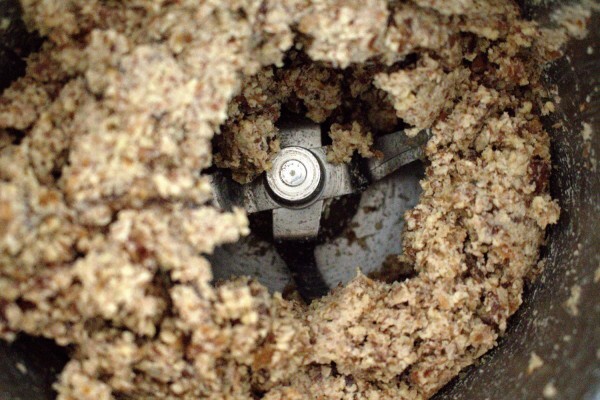 After draining the pecans, blend them in a powerful blender. Next, drain the dates. Add them to the blender and blend them together. Scoop the mixture into a wide dish (I used a ceramic casserole dish) lined with parchment paper. Smooth down the mixture with the back of a spoon. 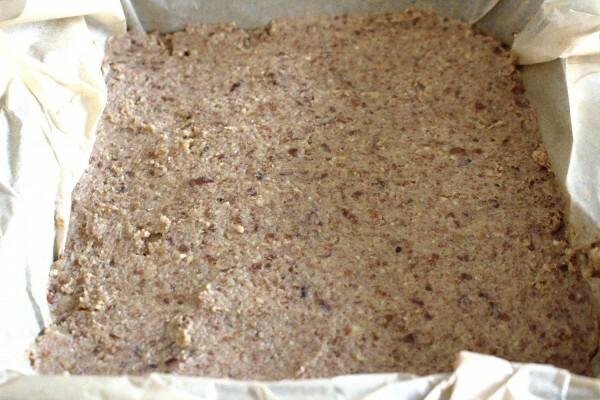 Refrigerate for at least a couple of hours for best results before cutting into bars.